Find your decision maker: Effective influencers figure out what they want and then figure out who can get it for them. In D.C. it may be a member of Congress, the whole institution, a federal agency head or the President. The actual decision maker isn’t always who you think it is. It may, for example, be a staff person. The key is to identify who specifically needs to hear your message, and then focus on them. Asking the wrong person for what you want isn’t a good use of your time or theirs. Find your Plan B (and C and D) decision maker: As horribly misguided as it seems, sometimes your primary decision maker won’t agree with you. So you may need to figure out if there are other ways to achieve your goal and, if so, who makes those decisions. For example, you may not be able to get what you want through Congress, but an agency might be able to get you something pretty darn close. Always have those options in mind when starting your influence effort. Ask the “and next” question: I failed miserably at this once on Capitol Hill when I helped draft what should have been a very narrowly focused bill. It wound up being referred to FOUR Committees. This is the kiss of death for anything you’re trying to move through Congress. I failed because I had not asked the “and next” question – what happens to this bill after it’s drafted? And after referral? And in the Committee? And next? And next? Know the rules: Finally, as Albert Einstein aptly pointed out, it is essential to know the rule of the game. 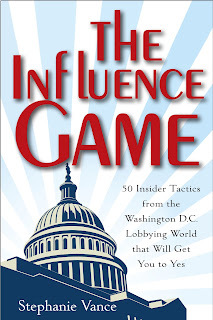 Whether it’s legislative procedure, the federal agency rulemaking process, how budgets are decided in a company or, in the personal setting, who is supposed to do the dishes after dinner, your understanding of the rules can make or break your influence effort. And with that – go forth and influence! Yogi Berra cracks me up (as does Yogi Bear, perhaps because he’s smarter than the average bear. For those who didn’t grow up with Yogi Bear, look it up). And it’s true that you MUST know your goal before you get started. You may need to reassess as circumstances change, but you won’t get very far down the road if you don’t have an idea of which road you’re on or should be on. Actually, let me correct that. You certainly CAN go very far down the wrong road, but in general it’s not going to get you anywhere near where you want to go. I know this because I get lost a lot. Tactic 1 -- Your Effort is a Cause: Your cause may be getting a new job, gaining a sale or implementing some legislative initiative. Whatever it is, remember that you are promoting a specific result over opposition, competition or potential objections. That’s the very definition of a cause. Tactic 4 -- Know WHY You Want What You Want (Or Why the Other Person Might Want That): “You should do what I say because I said so” works only in parental situations and even there not so much. I can’t even get it to work with my dog. So you’ll have to have a good reason for why you want what you’re asking for. And if that reason relates to what the decision maker may want, you’ll be far more effective. Tactic 5 -- Know What You’re Talking About: While it’s totally appropriate to say “I don’t know, but I’ll get back to you,” nothing is more frustrating than having someone try to sell you a product they know absolutely nothing about, right? In many ways your cause is a product and you’ve got to be familiar with its nuances if you’re going to convince others to get on board. Another baseball player named Babe Ruth knew all this about being clear on what he wanted. He’s the one who, when he came up to bat in the 1932 World Series, pointed to a spot in the stands and hit a home run to that very spot, which won the game. Sure, there’s some controversy over what he was pointing at and what he intended. The key, though, is that he pointed and the ball went there. You need to do the same. Today’s proposal—announced by House Budget Committee Chairman Paul Ryan (R-WI)—calls for a dramatic reduction to the overall FY13 discretionary spending limit set by the Budget Control Act last August. It proposes setting the limit at $1.028 trillion, which is $19 billion lower than the level agreed to during the debt ceiling debate. 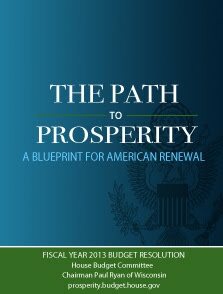 To achieve these deficit reduction goals, the plan outlines a wide range of suggested entitlement, educational, welfare, and tax reforms. It also targets examples of what House leaders have characterized as “wasteful spending.” Overall, it attempts to place the burden of deficit reduction on domestic programs while prioritizing the preservation of defense funding. Although it is highly unlikely that this plan will be enacted, the Ryan Budget would have resounding consequences for domestic programs. Advocacy Associates takes an in-depth look at the specific effects of these proposals on federal sustainability programs in our new subscription-based resource, the Smart Growth Reporter. This product is designed to assist smart growth organizations and sustainability-focused offices in local government with gathering, analyzing and understanding the key policies, bottom-line numbers and historical implications of the budget and appropriations process. 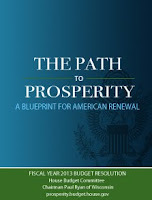 Sign up now to receive complimentary access to the analysis & insight included in the first report of the FY13 budget cycle. Today (March 16th), the Huffington Post linked to the video of a CBS investigation GOP Freshman and Fundraisers. This somewhat salacious piece suggested (wait, no, actually stated) that people who attend fundraisers gain the kind of access to legislators that regular citizens can only dream of. While this may seem like a "dog bites man" kind of story, it concerns me because it perpetuates the myth that you can't talk to your elected officials unless you attend a fundraiser. Believe it or not, your power of constituency is all you need to meet with, bend the ear of and, yes, even influence legislators. To me, these stats point out that you don't have to pay to speak. And if everyone keeps thinking that it will become a self-fulfilling prophecy. Oh, and speaking of the National Association of Electrical Distributors, here's a link to a video outlining THEIR point of view on meeting with Capitol Hill. Pretty good stuff. Champions will carry the water for you within the influence arena. This is especially important in legislative venues where individual citizens cannot take specific actions like introducing or voting on bills. Focus early and with some vigor on finding or developing these people. You won’t move very far without them. In general, supporters will vote with you and may take small actions (such as signing on to a letter or cosponsoring legislation). Don’t get complacent about their support and certainly don’t ignore them. You don’t want them to wander off. One of the most common things you hear in an elected official’s office is “well yes, I support issue X, Y, Z, but no one asked me to [sign that letter, make that statement, vote for that amendment].” This often marks the difference between success and failure. In terms of the opposition, don’t focus on trying to get them to change their mind. If you can “coopt” them from the outset, for example by giving them something they want in exchange for their silence on an issue, try that. Otherwise, your time is best spent understanding and responding to their arguments. From 1993 to 1994 I worked for Congressman Mike Kreidler, a Democrat from the 9th district of Washington State. If you don’t remember his Congressional career, that’s OK. Unfortunately he was in office for only two years. He lost his bid for re-election in the famous 1994 elections, when the House switched hands for the first time in 40 years. Fortunately for the citizens of Washington State, he is now their health insurance commissioner, so it worked out for everyone. Now, I don’t mean to make it sound like he’s dead. He’s very much alive (in fact, if anyone is, it’s Norm). It’s just that, like Olympia Snowe and other reasonable legislators before him, he recently announced his departure from the House of Representatives. His statement came as quite a shock to D.C. insiders. As the ranking member of the House Appropriations Committee, Norm holds one of the most powerful positions in the Congress. He was expected to easily win re-election. So why leave now? He is quoted as saying “At some point you have to retire. I just decided that now is the right time.” And it may all be little more than that. But I do wonder if the institution has just become a lot less fun for someone like Norm who worked well with both sides of the aisle and always sought bipartisan solutions. I can’t put words in his mouth or assume that he’s retiring for reasons other than, in his words, a desire to “see Husky games and go fishing.” I can be concerned that this is another example of what the extreme bipolarization of the institution is doing to the future of our democracy. If we don’t have good, thoughtful, reasonable people who understand the nature of compromise to run it, it’s not going to work all that well. There’s an adage that says “moderation in all things.” Apparently the U.S. Congress did not get the memo on that, as evidenced by the latest example of rational, thoughtful people feeling compelled to leave the Senate. I’m talking about the recently announced retirement of Olympia Snowe (R-ME). In this Washington Post opinion piece, she points to “dysfunction” and “political polarization” of the institution as her main reasons for leaving. Although she and I are of different political parties, her decision saddens and discourages me. In my 20 years in Washington, D.C. (yes, I’m old) Senator Snowe has always impressed me as one of the “good ones.” Every person I’ve ever spoken to from Maine (believe it or not, we get a fair amount coming to D.C. for lobby days) shares that view, even when they don’t agree with her. They have always told me that it’s clear she cares about both her constituents as well as what she sees as the best way to move the country forward in a balanced way. She’s been a champion of everything from libraries to improving access to health care services to reducing regulatory burdens on small business. And Senator Snowe has, despite all its problems, always been supportive of the U.S. Congress as an institution designed to express the views of citizens. Senator Snowe’s retirement is just one symptom of a much bigger problem. This problem stems from the incivility and anger that has seeped, sometimes insidiously, into our political process. Unfortunately, with the election season in full swing, I think the acrimony will get even worse this year. It’s up to “we the people” to make sure this doesn’t happen. I’m probably not going to convince the real “haters” to stop being hateful. I hope, though, that I can convince some of the more reasonable citizens to speak up. Too many of us (and I say “us” because I’m guilty of it myself) are abdicating our responsibility to say “hey, enough is enough. Stop acting like 4-year olds.” We do this through voting (be sure you’re registered!) and speaking out, politely but firmly, when we see antagonism from either side of the aisle or from citizens themselves.